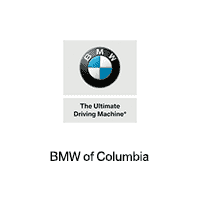 There’s nothing at BMW of Columbia that matters more than customer satisfaction. When drivers in Lexington, Columbia and Irmo, SC walk out of our doors, we want it to be with a smile. We have a full staff of professionals who are here to help you with all of your needs. No matter what you’re looking for, we have you covered. A new vehicle? Definitely. Used and certified pre-owned vehicles? Certainly. Parts and service? No doubt about it. Check out different parts on our website for details on how we can make your life easier or call us at 803-373-1162. Also feel free to visit us at 250 Killian Commons Parkway, Columbia, SC 29203. Or visit our Pre-Owned Vehicle Center and Body Shop at 5919 Two Notch Rd Columbia, SC 29223.